xG® Technology, Inc. (“xG”) (Nasdaq: XGTI, XGTIW), a leading provider of wireless video solutions for the broadcast, law enforcement and defense markets, and private mobile broadband networks for critical communications, announces that its IMT Vislink business is debuting a new satellite data terminal, Vislink AirPro-75, at SATELLITE 2018 (Booth 449). Additional IMT and Vislink solutions will also be on display at the event, including the MSAT-120 satellite video & data terminal, MicroLite 2 HD ultra-compact COFDM wireless transmitter, HCAM HEVC/UHD wireless transmitter and ViewBack low latency dual channel diversity receiver-decoder. The Vislink AirPro-75 is a small, lightweight, low-cost, single-button deployment IP satellite data terminal for use with Eutelsat’s Tooway™ & ViaSat™ Exede® services. It is a fully motorized, driveaway antenna system with full auto-acquisition functionality. The Vislink AirPro-75 features a 75cm Ka-Band antenna. 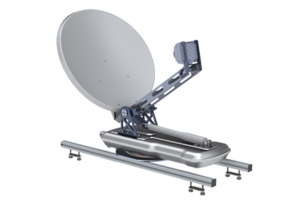 Future models include 120cm Ka-Band systems and a motorized feed to provide support for linear polarization (in 120cm system). The MicroLite 2 transmitter features HD/SD-SDI and HDMI inputs with COFDM transmission in a small, lightweight chassis. It delivers up to 250mW of power, providing long-range, reliable HD video transmission. IMT’s COFDM technology ensures the transmission of uninterrupted, live TV pictures over two miles Line-of-Sight (LOS), despite the effects of foliage, challenging terrain, buildings and other common non-line-of-sight limitations.